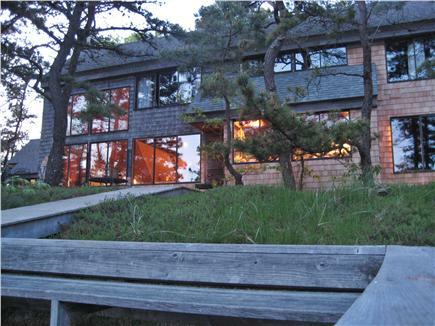 This beautiful post and beam beach house sits nestled in the scrub pines of Blackfish Creek. 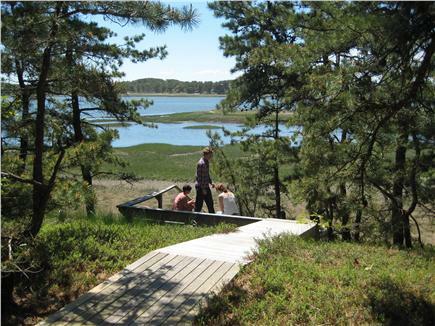 With a wrap-around deck that faces the fully tidal salt marsh and stairs that lead directly down to a sandy, semi-private path, you can enjoy the dynamic life of this diverse habitat. 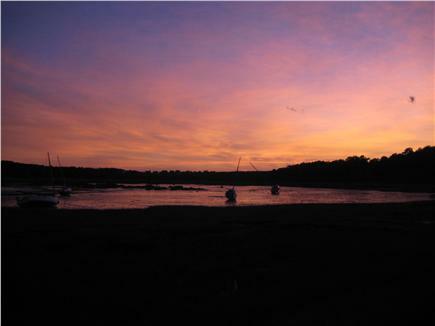 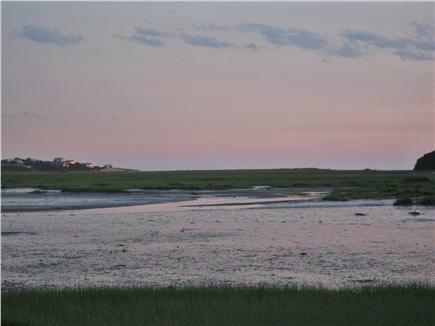 Discover the many wonders of the marsh while you walk along the path or take our canoe out when the tide is in. 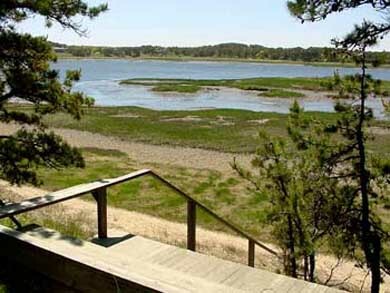 At high tide watch the water come right to the bottom of the steps while at low tide explore the mud flats, home of the famed Wellfleet oysters and little-neck clams. 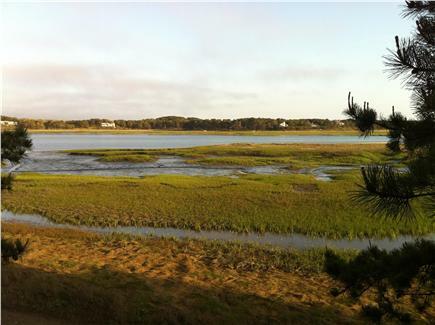 Walk just two hundred yards to the charming swimming beach at the end of Pleasant Point or enjoy the bracing surf at the ocean beaches just one mile from the house. 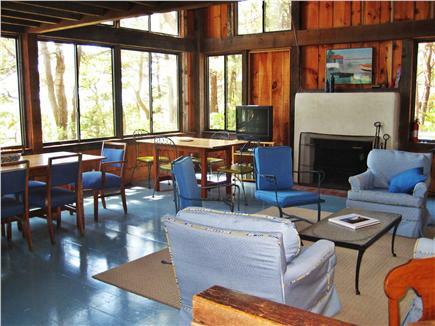 Come home to the sanctuary of a spacious living room with a cathedral ceiling and a full wall of windows facing the water. 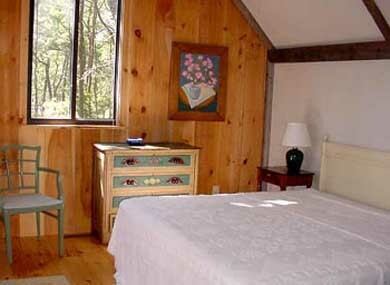 The house was built in 1975 from reclaimed New England barn timbers and a new master bedroom, master bath addition (designed by the original architect) was added in 2000. 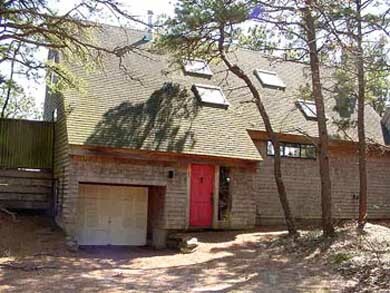 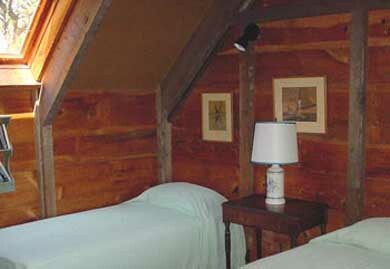 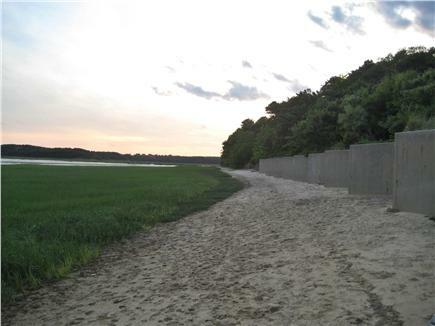 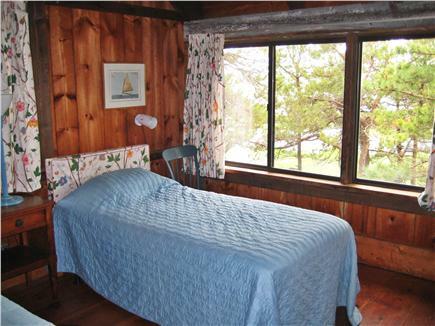 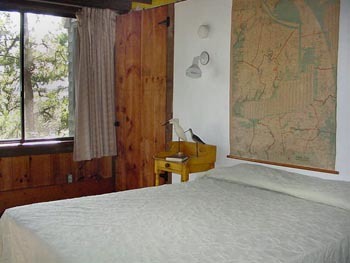 This is a great, safe, place to bring your curious kids and let them explore while you relax in the Cape Cod breeze.If you want to explore further, the house is just a 5 minute drive from the magnificent sand dunes of Lecount Hollow Beach and just 10 minutes to Newcomb Hollow Beach or a beautiful fresh-water pond (Long Pond). 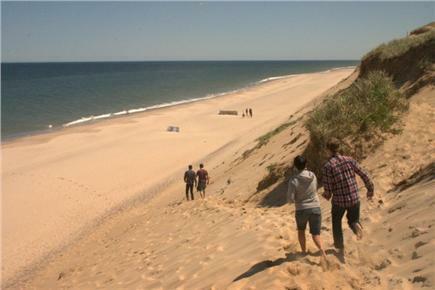 We are about 10 minutes to the center of Wellfleet where you can see many local galleries and eat incredibly fresh seafood.